Skype released a solid update for both its iPhone and iPad applications with some UI changes, a fix that makes one-on-one chats, the ability to quickly dismiss your recent chats as “read” and a “beautiful new calling experience” thanks to the new interface. -Mark all your recent chats as read with just a few taps. -One-to-one chats now appear in the correct order. 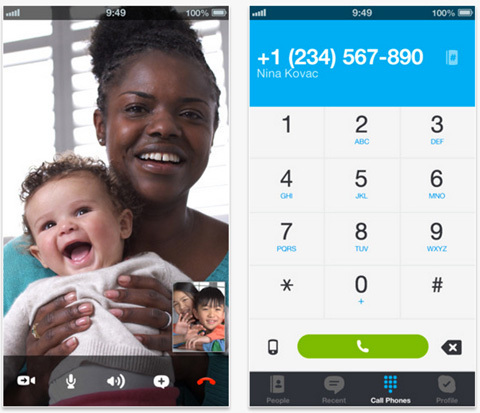 You can find Skype in the App Store for free. i3Theme 1.6 is designed by N.Design Studio, customized by MangoOrange™.